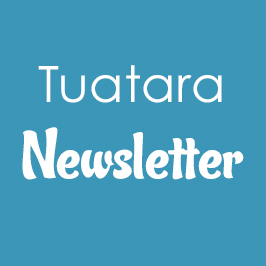 A warm welcome to our Tuatara families and to the new members of our group. This is our May-June Newsletter now posted in the community page of Storypark. We are almost halfway through the year. We have a lot of changes and transitions with new families joining our group and farewells that have happened over the past couple of months. Two new children are having transition visits, they will be joining us on the 2nd and 23rd of July. A very warm welcome to all of our new families! Three children and their families have moved to another city or new centre and for extended trip/ holiday. We would like to acknowledge Tuatara children who turned two years old. Ra whanau Kia Koe ! Whole Centre Enviro School Programme on Sustainability, we are continuing with providing our tamariki some learning experiences on taking care of our environment. The worm farm is thriving well in spite of the cold winter season and the children are nurturing them and feeding them well with the right kind of food, we are using the worm tea to feed our vegetable gardens. Our tamariki and the new ones too, are having hands on experience of baking our Rewena bread which is part of their healthy morning kai every Friday. We had a successful celebration of the Samoan Language Week with song and dances (wearing of the Samoan costume “lavalava”), using phrases and expressions for greetings and counting, storytelling and this culminated with the Samoan flag raising and national anthem and enjoying the Samoan food and culture. (Learning Story available in Storypark). Planning for the Matariki Celebration is still ongoing. Our tamariki have been provided with lots of learning opportunities for understanding the myths and legends about Matariki. We had lots of “waiata and haka”, baking Maori bread (Rewena), arts and crafts and they participated in the tikanga of “harakeke” or flax weaving. On Transitions, we are focusing on the Te Whariki- Learning Strand: Well-being and Building Relationships as we settle new children and those tamariki from the Kiwi Room to our group. Our tamariki who have graduated and moved recently to the Tui Room have experienced a sense of pride as they wore the “korowai” a symbol of a new beginning as they enter the next stage of learning and new experiences. Please take part, join and get involved in this event. The Annual General Meeting will be from 10:30 to 11:00. Please bring a plate of food to share for the morning tea. Please ensure that your child has enough named spare clothes and footwear that are suitable for this cold winter weather.